ANTHEM has gone gold, BioWare's Michael Gamble has revealed rather casually over on Twitter. That means the game is ready to ship ahead of its launch next month, on the 22nd February. Hurrah! The news also comes just ahead of the playable demo's arrival on PlayStation 4. The title's so-called 'VIP Demo' goes live this weekend, from the 25th January. The demo will then be made public starting from the 1st February. If you're unable to get your hands on it, know that we will have some gameplay impressions coming up very soon. 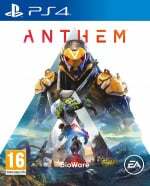 So yeah, ANTHEM is ready to go, but are you? Let us know if you're targeting this one in the comments section below. Was really looking forward to it but I just wanted a 3rd person, online shooter. Something to pass the time with modes like TDM and the usual stuff, but with their own twist on it. Sounds a lot more complex than what I thought though so i'll probably pass on it now. I got the demo downloaded on PC and ready to go this weekend. I really hope more people try this game and stay open minded. Just forget EA for a minute and have a bit of trust into BioWare. Day 1 for me. But staying away from the DEMO. Played the Alpha, that is all I needed to jump in, do not want to spoil anything more. it has bomb written all over it. If this weren't yet another sci-fi mmorpg (or whatever it is) and instead a medieval/high fantasy game I'd probably be more interested. With the story introducing the Anthem of Creation and where you have player-character who is basically a wizard who commands lightning, you have right there a high fantasy concept. That alone would have drastically set this game apart and created more of reason for players to want to explore this high fantasy world. The mech-suit game has been done multiple times in this space. Speaking of the VIP demo, I caved and decided to pre-order from GameStop. Anyone know when the VIP demo codes are sent out? So.. yeah, get ready for a day 1 patch, in other words. I'm excited yet weary at the same.time. I don't think I have time for destiny type games like this but at least I want to try the demo first. Don't forget that they've admitted to altering the demo's gameplay and economy, just until the positive reviews go out, and then they flick the switch turning on the heinous grind and microtransactions. Excited for this always will support Bioware as I think this is their last opportunity. Either this has success or can not see a future for them. @Shepherd_Tallon I believe it said you had to email BioWare or something like that if you purchased it from an outside retailer. Cheers for the replies, folks. I'll look in to it after work I guess and see what happens. (Resi 2 this weekend anyway). Just looks like a Destiny clone to me and i bet it has an expensive season pass and dlc outfits and levels. Looking back on Ea games last night. I hope it is a good game though and done right but after Starwars And other games i will wait for reviews for shore. Been gaming Ea games since mega drive days like road rash and desert strike. I still have 2 invites for the V.I.P demo if anyone wants 1. @3MonthBeef To each their own, I guess. 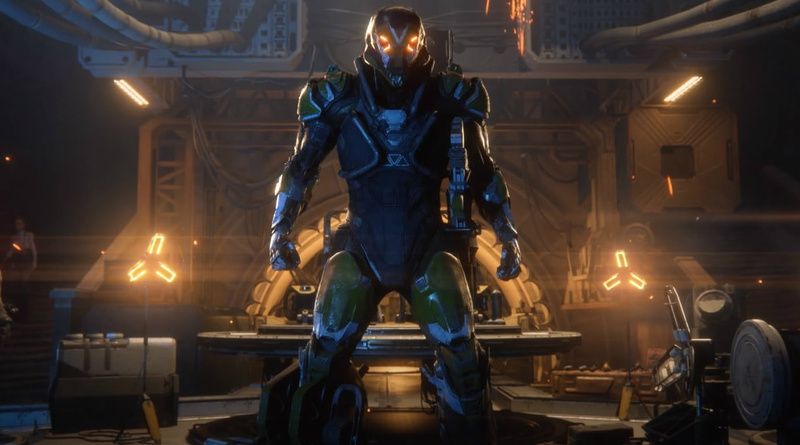 I can see where you're coming from, but for me personally, I'd have zero interest in Anthem if it was a high fantasy game...but a game that basically lets me be Iron Man? Sign me up! Actually, I did sign up...I've the Legion of Dawn edition on preorder. @Luna-Harmony No season pass, no paid story DLCs. Pay $60 once and enjoy without any worries. The only paid content are cosmetic micro transactions which you can also get by simply playing the game and collecting in-game coins to get them. @tatsumi I preordered the Legion of Dawn edition. Aside from the soundtrack, the main benefit are the four skins. After plonking down an extra £20, I would be a little peeved if these can also be earned in game for free. What do you reckon? @Shellcore VIP demo and Legion of Dawn skins are the only ones you can’t get through buying or playing post release.